YO! Sushi offers fast, fun and fresh Japanese inspired food to eat in or takeaway. 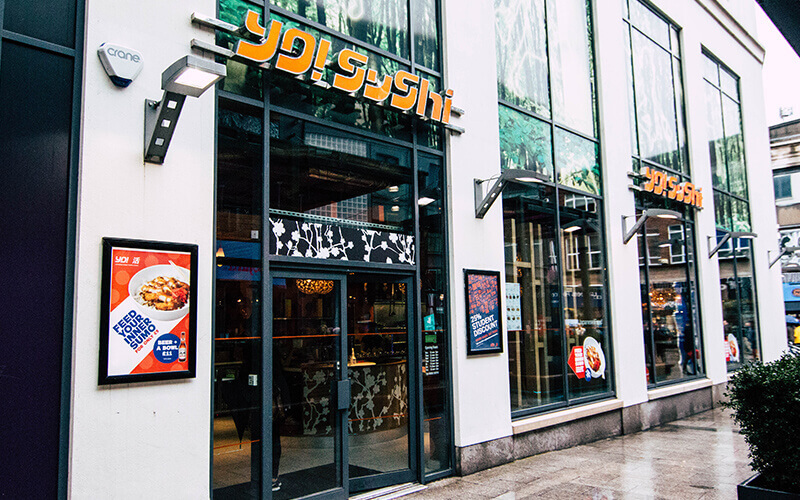 With over 80 delicious hot and cold dishes including soups, rice or noodles, salads, tempura and hot classics like Chicken Katsu Curry, Salmon Teriyaki and Yakisoba noodles as well as their all new Super Mega Bowls. It’s the perfect choice for anyone who wants to enjoy a slice of urban Tokyo in a uniquely designed dining experience any time of day.